Everybody can purchase a great wine at $300 to $500 per bottle, but to find good wines under $40, now that’s a real challenge. Luckily, today there are so many good wines on the market that come with lower price tags. All these wines are produced by winemakers who have produced some of the most delicious white and red wines on the market. Selecting the most popular wines under $40 is becoming very difficult because the Australian wines differ in diversity and quality. In order to help you, we have listed few wines under $40 that are quite popular in Australia. Coriole Estate Shiraz 2011 – Shiraz is the traditional grape variety that is being planted and harvested in the McLaren Vale region in Australia. It is one of the most delicious wines under $40, providing lifted, bright nose with spice, dark cherry and plum. The palate is medium to full bodied with cigar box, dark berry and red fruits. A structural wine that is creamy and with rich tannins. 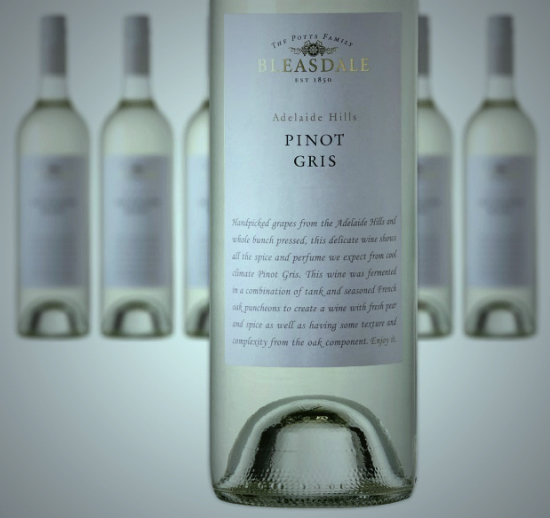 Bleasdale Adelaide Hills Pinot Gris 2013 – Another choice from the group of amazing wines under $40 is the Bleasdale Adelaide Hills Pinot Gris. Handpicked and pressed grapes from the Adelaide Hills give this wine an amazing taste and aroma. This wine is fermented in French oak barrels. Rosemount McLaren Vale GSM 2012 – This under $40 red wine has received three major trophies: Best Red Blend, Best GSM and Best Exhibitor. Made from Mouvedre (10%), Syrah (19%) and Grenache (71%) it was first presented on the market back in 1994. The spicy and rich fruit flavours of the Grenache balance the power of the Syrah and the firm structure of Mourvedre. This red blend demonstrates a balance of lifted floral spice, black cherry and raspberry with a supple tannin finish. Dog Point Chardonnay 2011 – The Chardonnay from Dog Point is definitely the most popular wine in the group of wines under 40$. It comes from one of the oldest vineyards that sells grapes and produces wines under its own label. It is full of ripe citrus, toasty aromas and hints of roasted nuts together with savoury overtones derived from continued contact with yeast lees. This white wine is full-bodied, displaying ripe citrus with chalky textural complexity enriched by the roasted nuts flavours.